Several marital issues have a hint of suspicion in them. We suspect our spouses’ motives, thoughts, words, actions, movements, intentions and relationships. While no suspicion is healthy or profitable for any marriage, I would like to talk a little of suspecting your spouse of infidelity. To suspect means to believe (someone) to be guilty of something with little or no proof. It means to doubt or mistrust, to believe to be the case or to be likely probable. A man told of how a former staff of his got married to this lady who USED to be very promiscuous to put it very mildly. And he couldn’t stop thinking that any time he was not with her she was with someone else and this was posing a lot of threats to his marriage. This man became so sick emotionally that he began to seek comfort from unhealthy sources and his marriage became very sick too. My thoughts are that anybody can make a change for the best and if a man loved a lady enough to marry her out of her former lifestyle, then he should also believe her when she tells him she cannot go back. Ladies are not exempted; some ladies cannot help but think and imagine all negatives when they see their husbands with any girl. They get threatened even by the shadow of a lady around their husbands and begin to assume a lot of things that really have no truth in them. A man got frustrated by his wife’s constant and endless accusations from his wife: she had a long mental list of all the ladies she believes her husband has had affairs with and does not hesitate to read out the list to him whenever “occasion” demands. He complained that he was simply tired of it all. He has tried to make her believe his fidelity but she refused to believe him. I agree that infidelity does occur and I also agree that some people give room for suspicion. But we shouldn’t allow insecurity or paranoia to make us keep thinking infidelity. We shouldn’t think, imagine or suspect infidelity into being. If we feel uncomfortable about our spouses’ relationship with someone we should bring it up for discussion, believe our spouses if they say nothing is happening and trust God that they will take note of our comments and refuse to give room for “anything” to happen. And let us not stop there, we must pray for our spouses’ so that they will not enter into temptation. If we keep imagining our spouses with other men or women then sooner than later our thoughts would manifest if we don’t stop. We cannot undermine the power of our thoughts; scriptures and events have proven that there is power in our thoughts. NOTE: I do not in anyway think anyone should live in denial if their spouse is really cheating (proven). My main subject of discussion is SUSPICION. Imagine if your spouse were the one haunting you with his or her suspicions, how would you feel, especially knowing that you are innocent? I believe frustration, hurt and perhaps even anger would be some of the feelings you would battle. Nothing hurts anyone like knowing his or her spouse does not trust him or her. Love believes the best and it never fails. Believe the best about your spouse, pray for your spouse, love your spouse and put your trust in God to make him/her the best spouse ever! Over to you now, what say you? Amen. And you have a super blessed day! thank you more power in Jesus name. Praise God Daisy, thanks a lot for coming by! There should never be a reason to doubt in a marriage. Suspicion can cause so many issues!! Great post. Yes it does! Thanks for coming by and leaving this note, do have a super blessed day! Very well written! So many people need to hear this! Amen! Thanks Sadie, have a super blessed day! Great post! The one thing I once heard is to never give your spouse any reason to even doubt. Why engage in behaviors that “could be suspicious”? It’s a great gift to give your spouse – complete confidence- and a great gift to receive! I agree Leah, we must give our spouse reason to trust us. Thanks for coming by and leaving this note. Very powerful post and it happens in so many marriages. Love, hope and faith. : ) Thank you for stopping by http://onecreativeprocrastinatinggal.blogspot.com/ I am following you back. Thanks for coming by Amy, have a super blessed day! Suspicion is such a burden and can derail even the best friendships. If we don’t communicate openly and honestly with our loved ones then this becomes a route to its demise. Great post and saw your comment on SITSGirls. It is a burden and a very destructive one at that. Thanks for coming by and leaving this note, do have a super blessed day! Well, our marriage started out rough in terms of suspicions and some proof, but nearly 16 years later we are still together and have 3 children and have a much, MUCH better marriage. Praise God! Praise God LuAnn! I am so glad, I trust some would be encouraged by your testimony. 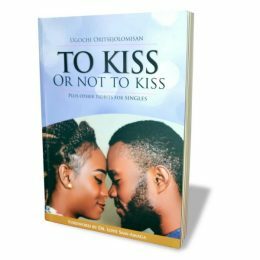 This is very helpful, Ugochi–to distinguish between suspicion over real behaviors we see our spouse committing and jealous fears and insecurities that have no bearing in reality. I think this happens more than we realize and I’m glad you’ve reminded us of the admonition to “believe the best” about our spouses. It’s so important and necessary in every area of marriage/life! Very true Mia, when love is the foundation, suspicion becomes non-existent. Thanks for coming by and leaving this note, have a super blessed day! Thanks for the complements Eloquent and the follow too. I am glad you find them good points, thanks for coming by, have a super blessed day! Suspicion can really knock you off your feet and knock your relationship to the ground too. It can be really hard too if you have dealt with infidelity. When I met my husband I was a year free from a relationship that was abusive and also marred with infidelity. My ex cheated in every way shape and form both physically, emotionally and via the internet. He was a louse with a hero complex (yes he pursued vulnerable women so he could be their hero). Because of that infidelity, I was wary. When my husband was online, my stomach would tighten up. The best thing for me was to admit that I had a problem and tell him that I trusted him and was working on getting over what my past had done to me. I asked for his patience as I learned to trust him. I continued to remind myself that my husband loves me and did not hurt me. I focused on all the good. Eventually it just stopped bugging me. I don’t know when it happened, but I am so glad I was willing to open up and focus on the man I loved and not the pain another man caused. Thanks for sharing Ugochi! What a great message! I think this is where most of us miss it Kelly, focusing on the bad instead of the good. It is very helpful and when we do that and trust God for change in us, it can work a miracle. Thanks for sharing your experience with us Kelly, I am sure it will bless someone.